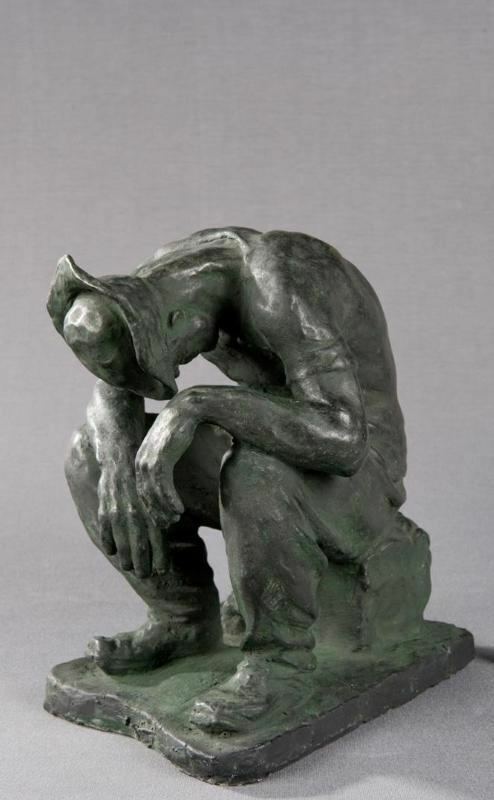 Mahonri Macintosh Young (August 9, 1877 – November 2, 1957) was an American sculptor and artist. Although he lived most of his life in New York City, two of his works, the This Is The Place Monument and the Seagull Monument are featured prominently in Salt Lake City, Utah. Mahonri was the grandson of the second President of The Church of Jesus Christ of Latter-day Saints and first Governor of Utah, Brigham Young. Young was born in Salt Lake City, Utah Territory to Mahonri Moriancumer Young and Agnes Mackintosh Young just 20 days before the death of his grandfather Brigham Young. Young's own father died when he was eight. Rather than high school, Young choose to pursue an artistic education under local artist James T. Harwood. Young saved money earned as a Salt Lake Tribune engraver to attend the Art Students League of New York between 1899 and 1901, returning for financial reasons. Working for the Salt Lake Herald, Young saved enough money to travel to Paris, France where he studied at the Academie Julian until 1905. In France he decided to focus on sculpture, although his watercolor paintings were also acclaimed. Returning to Utah, married Cecelia Sharp in 1907. They had two children, but Sharp died. Young later married Dorothy Weir, daughter of painter J. Alden Weir, and moved to Connecticut in 1931. Young maintained a studio at the Weir estate which has become Weir Farm National Historic Site. Young found local sculpture commissions insufficient to make a living, so he moved to New York City in 1910. Young did, however, keep geographical and religious ties to home. In 1912 he received commission from the LDS Church to make Seagull Monument on Temple Square. Young had long lobbied the church to build the monument, but they didn't find money for it until after he moved his family to New York. Young notably created Native American statues for the American Museum of Natural History and submitted artwork for 20th Century Fox studios. During the depression he taught for the Art Students League. He also completed a series of bronze sculptures of boxers which brought him international fame. In 1941 Life magazine called him "the George Bellows of American sculpture." 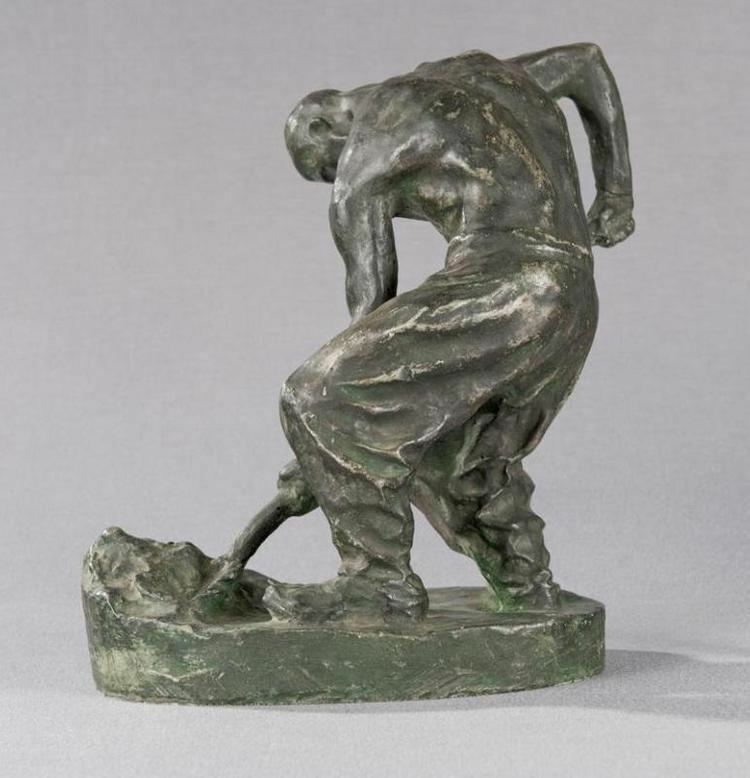 Young's sculptures often focused on farmers, machinists, blacksmiths and other workers. Young became associated with the Ashcan School, an art movement which focused on realistic, gritty scenes of everyday life. A Social Realist, Young ennobled the struggle of industrial workers. Characteristic of this theme are "Factory Worker" and "Farm Worker", two sculptures displayed at the 1939 New York World's Fair. The statue of the farmer, a man sharpening his blade, stood at the fair's entrance. Young was especially proud of This Is The Place Monument located at This Is The Place Heritage Park in the foothills of Salt Lake City. Awarded commission to build the monument in 1939 when Young was 62 years old, This is the Place Monument included many sculptures dedicated to the Mormon pioneers. The project proved frustrating for Young, who had to win the contract through an arduous contest. After granted, many of the artistic qualities sought by Young were vetoed by representatives from Utah state government, the LDS Church, and descendants of pioneers. For example, Young wanted pioneer leaders in realistic clothing like they would have worn when entering the Salt Lake Valley on July 24, 1847. However, Young's vision of leaders like Brigham Young and Heber C. Kimball in suspenders and bloomers was deemed undignified. Instead, pioneer leaders were portrayed in heavy formal overcoats. The monument was dedicated on July 24, 1947, on the one hundredth anniversary of Brigham Young's party reaching the Great Salt Lake Valley. Young died in Norwalk, Connecticut. Young's estate included 320 sculptures and thousands of paintings and sketches.